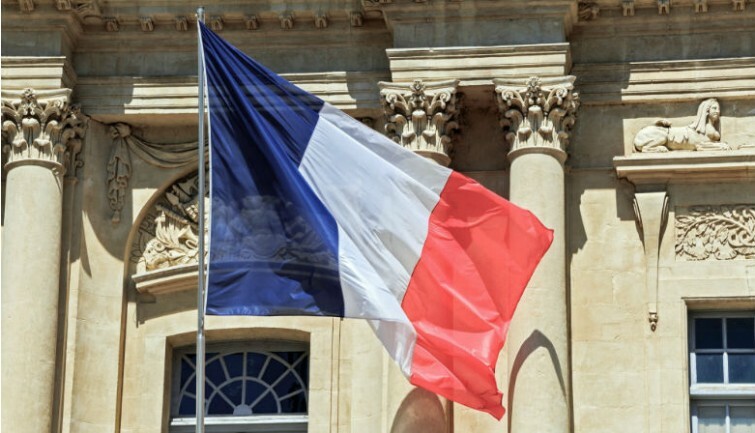 Come and discover Paris during a guided walking tour through the symbolic places of its history: the Palais Royal, the Bastille and Place de la Concorde will open doors to the French Revolution. You will get a different look on the capital with this unusual visit to Paris. The tour begins at our agency at 09:30 AM where you will find our guide. 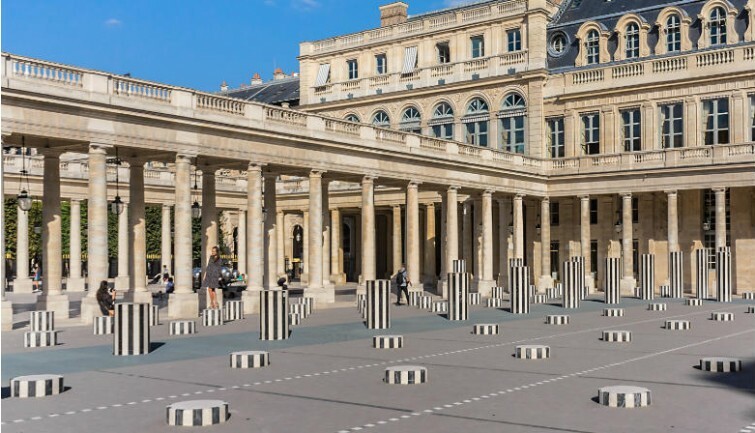 You will go with them to the Palais Royal, a few minutes’ walk away. The guide will comment on this monument which was once the residence of Louis XIV. Today, it houses the Council of State, the Constitutional Council and the Ministry of Culture. The gallery’s arcades overlook a magnificent garden where historic art intersects with modern sculptures, including the famous Buren columns. There is also the Théâtre du Palais Royal which has hosted plays from Richelieu and Molière, and which still offers performances today. Around 10:00 AM you will take the metro with your guide to the Place de la Bastille, the site on which the fortress was located, where you can see markings of the Tour de la Liberté on the floor. The excursion continues along Rue Saint Antoine and Rue François Miron to the Hôtel de Ville. The guide will give you some explanations on this sumptuously decorated building that has served as City Hall since the 14th century. Then, your guide will take you to the Pont au Change, a bridge connecting the Ile de la Cité and the right bank. 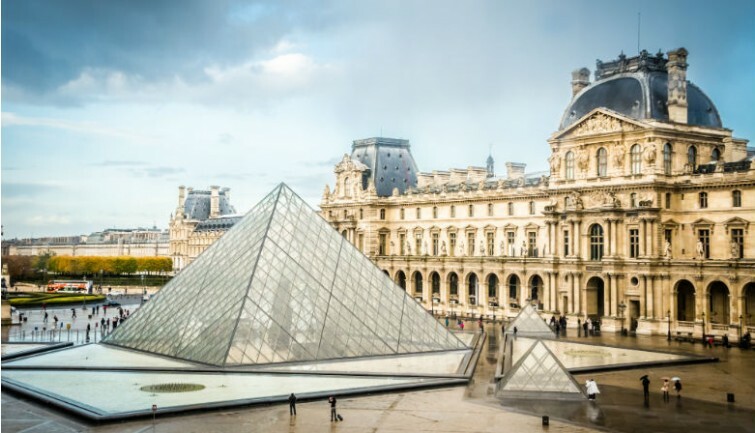 You will continue your walk on the Rue de Rivoli and take a city bus that will take you to the Jardin des Tuileries along the Louvre Museum. You will cross the garden with your guide who will speak especially of the Tuileries Palace of Catherine de Medici, which no longer exists today. 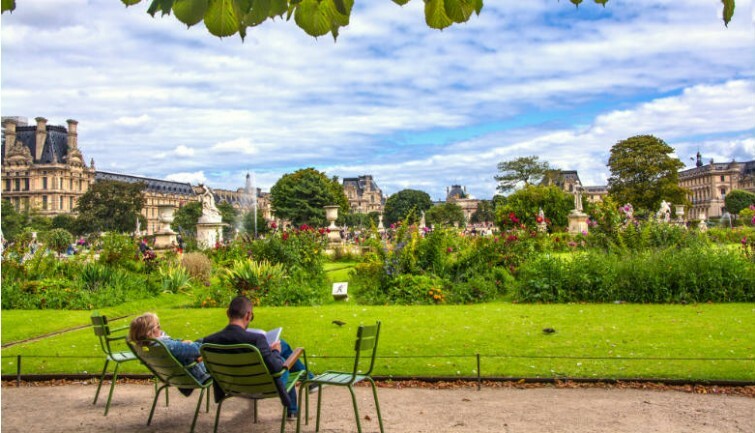 You will discover the charm of the Tuileries, where there are various statues and ponds, which separate the Louvre from the Place de la Concorde. After an hour, you will arrive at Place de la Concorde, where your guide will discuss the Concorde, the National Assembly and the Expiatory Chapel. The Place de la Concorde is the largest square in Paris and was once the Place de la Révolution where Marie Antoinette was guillotined. You will see the famous obelisk of Luxor brought back from Egypt. You will see the Palais Bourbon where the National Assembly sits. The guide will also tell you about the Expiatory Chapel, which cannot be seen from the Concorde, but is one of the symbols of the French Revolution. It was built in the historic cemetery of the Madeleine where the bodies of Louis XVI and Marie Antoinette (transferred to the Basilica Saint Denis) were initially laid to rest. You will be able to make out the avenue des Champs Elysées that begins at the Place de la Concorde and is overlooked by the Arc de Triomphe.